Of all of the lakes in the United States, China Lake ranks 39th on Bassmasters’ coveted 2015 “100 Best Bass Lakes” list. 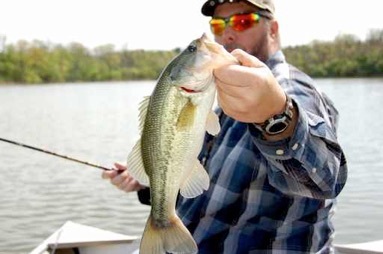 “The results have been tabulated after several months of research and the 2015 rankings for the 100 Best Bass Lakes in America have been revealed. The annual list sorts the best places in the world to catch a bass. 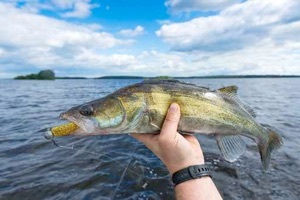 “We’ve got plenty of great fishing here in Maine, whether you want to target cold-water species like landlocked salmon and brook trout or warm-water species like bass. “And while some might think of sprawling lakes in the southern U.S. when they talk about world-class bass fishing, the folks at Bassmaster Magazine aren’t among that crowd. 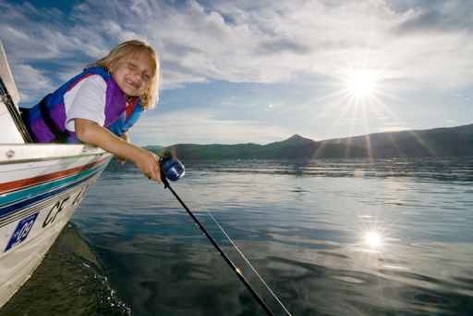 “Bassmaster released its ‘100 Best Bass Lakes of 2014’ list last week, and three Maine waters are included. 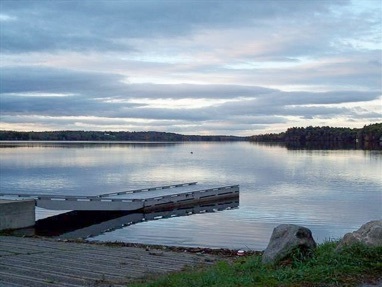 THIS LAKE HAS BEEN A WELL-KEPT SECRET AMONG MAINE FISHERMEN. it’s comparable to any of the best fisheries in the country. 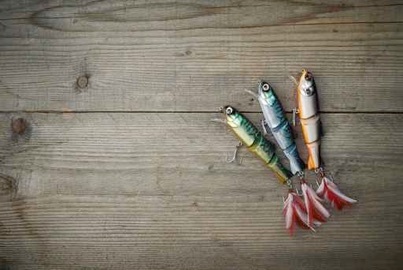 Major League Fishing anglers have been around. In fact, within U.S. borders, every Major League Fishing angler has been to almost every state. Repeat: ALMOST every state. A glaring exception, until recently, would be Maine, the land of lobsters and lighthouses, of maple syrup, blueberries and Stephen King. Moose, anyone? 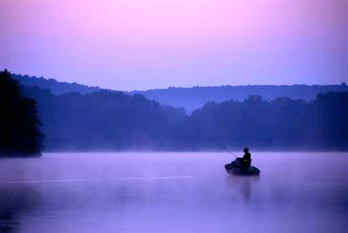 Major League Fishing’s anglers had never spent a day or a night in the Pine Tree State. Not that they hadn’t wanted to – they just, well, hadn’t experienced the northeast tip of New England. 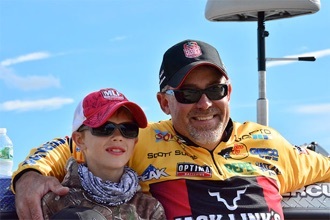 “When I heard we would be fishing in Maine, I was jacked. I couldn’t believe it. 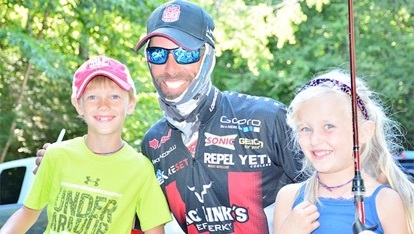 That was great news,” said MLF angler Mike Iaconelli. T.V. 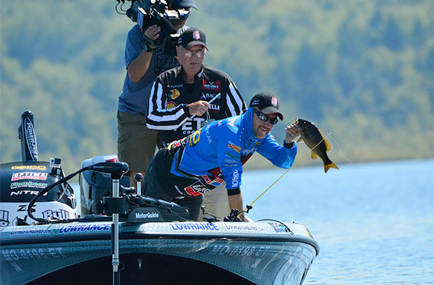 crews came to China Lake last summer and recently televised their Major League Fishing 2015 Summit Cup Tournament. Summit Select Qualifier Brent Chapman shows off a healthy bronzeback. 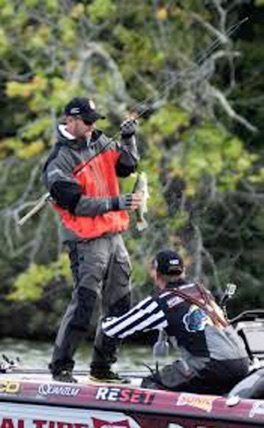 “The biggest names in fishing, and the roughly 100-person-strong television production team that follows their every move and later broadcasts the action on national cable and network television, plied the waters of central Maine for bass over the last several days. Aaron Martens holds a fish he just caught as an official prepares to weigh it Saturday on China Lake in China. Videographers record Brent Ehrler as he casts Saturday near the shore of China Lake.